When these came out I was really keen to try them and I was lucky enough to receive some samples to test run for you. I love the Maybelline Color Tattoos and I had thought they would be similar but these are actually a lot thinner and more of a silicone gel consistency. The silicone gel doesn't quite set like the colour tattoos but they are very smooth and blendable. I think you could set them even better with a powder shadow or translucent powder over the top. While being quite different I like them a lot. As the name would suggest, they are very shimmery with a semi opaque colour. 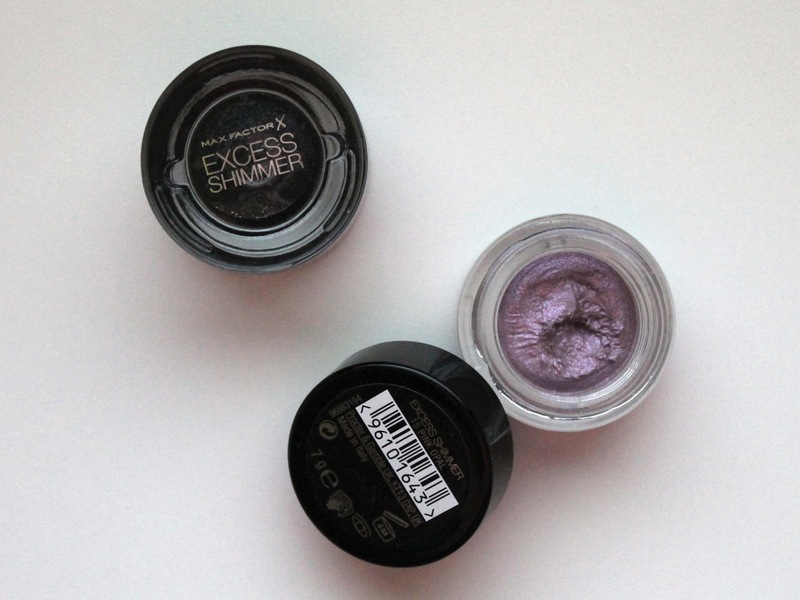 The "Pink Opal"shade is a bit misnamed and I would describe it more as a pearlescent lavender shade. As a neutral eyeshadow addict it maybe isn't a shade I would have chosen for myself, it is still gorgeous and great for a little something different. "Onyx" is a shimmery black shade that I used to shade the outer corner for this look but it could be used all over the lid for a more intense night look. These shadows apply well and even blend quite nicely. They are a lot "wetter" formula than something like the Maybelline colour tatoos but still set nicely and can get a helping hand from powder. Also, a little goes a long way with these and they have amazing payoff. These shades aren't my usual picks but I do really want to try the other gorgeous shades like Bronze (top left) and Copper (top middle) which I have look gorgeous! Top row: Bronze, Copper and Opal. Bottom Row: Pink Opal, Pearl and Onyx. 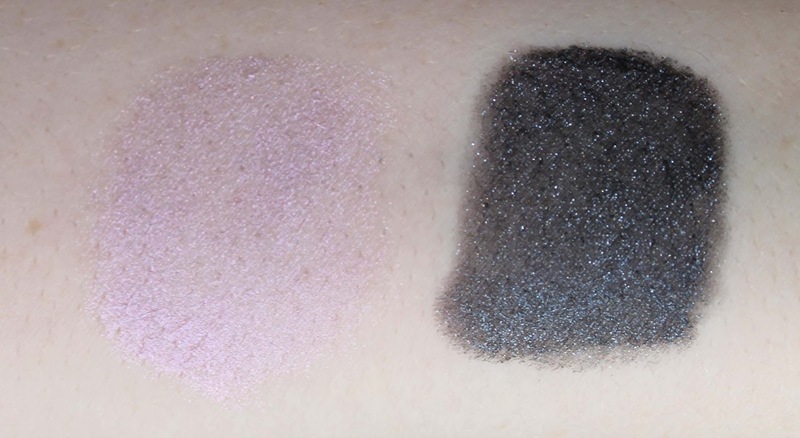 Have you tried any of these Excess Shimmer shadows? Which shades would you love to try out? Let me know below in the comments. 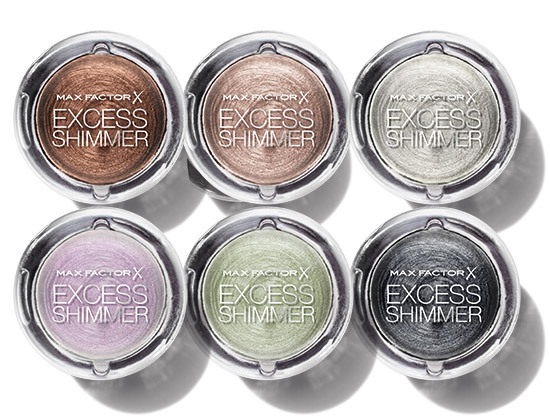 3 comments on "Review: Max Factor Excess Shimmer"
I really want to try these, particularly the bronze shade. The formula sounds quite unique, especially on the drugstore scene! Yeah it really is. It's more of a thinner gel consistency but it is still effective and blends well. I don't have oily lids but it would be interesting to see how oilier girls go with this formula. nike free og 2014 sale Help revealing a nike free og 2014 sale trace of contempt eyes. But even then how to know the underworld never seen nike free og 2014 sale the world will go in the middle of the night nike SB Stefan Janoski Max sale throwing excrement on your door, so the attention is not only despicable despicable face. cheap recovered, just look back to see the director of nike free og 2014 sale contempt, nike free run australia sale and therefore cursed hearts, mud horse.